New Year’s goals falling behind? 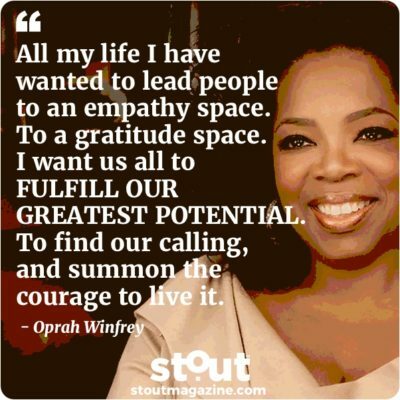 Here’s how to harness the power of temporal landmarks to get back on track and expand your possibilities. The First Rule of Achieving Your Goals? Don’t Talk About Your Goals! When we set a goal our first instinct is to talk about it, but Derek Sivers presents research on why people share goals are less likely to achieve them. 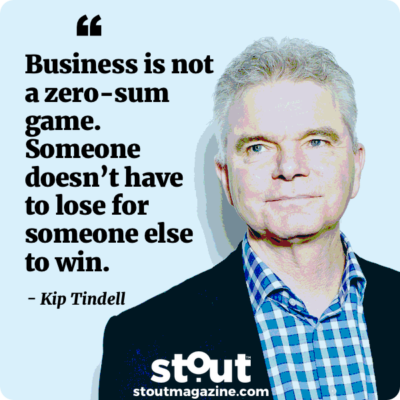 Get inspired by Kip Tindell’s conscious business model then use our Stout Action Plan to work to serve for success. 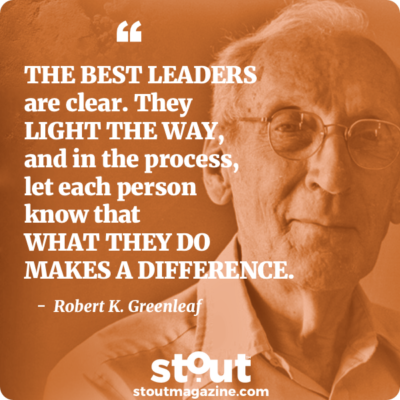 Get inspired by Robert K. Greenleaf’s model of servant leadership then use our Stout Action Plan to find how you can serve others with purpose. 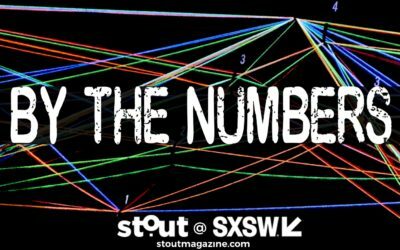 We partnered with our friends at data.world to take a “by-the-numbers” look at SXSW 2019 and uncovered a Stout link between cutting edge and connection. 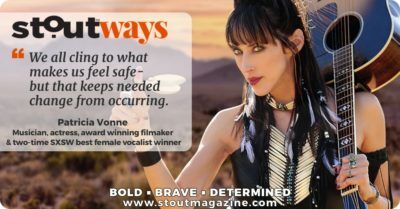 Stout Magazine interviews Patricia Vonne and uncovers the bold, brave and determined depths of this passionate, versatile artist. 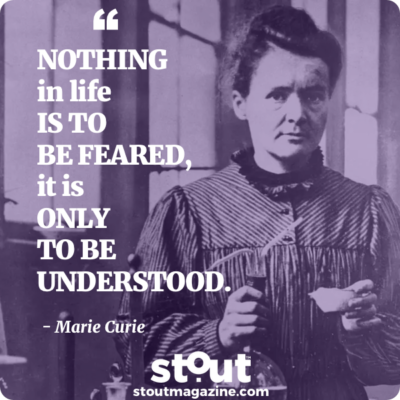 Get inspired by ever seeking scientist Marie Curie then take action to up your understanding and stop holding back. 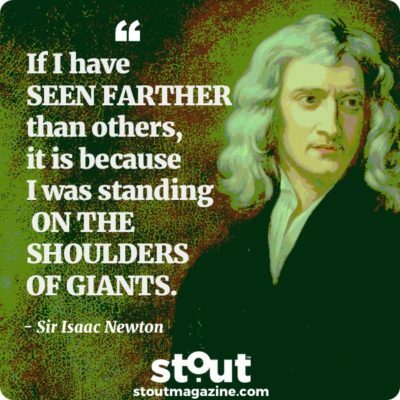 Get inspired by scientific groundbreaker Sir Isaac Newton then take action to find your giants, see further and help others to rise. 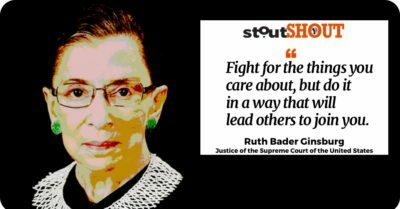 The Notorious RBG: From Harvard Law to the Supreme Court, we tip our Stout hat to this bold groundbreaker. 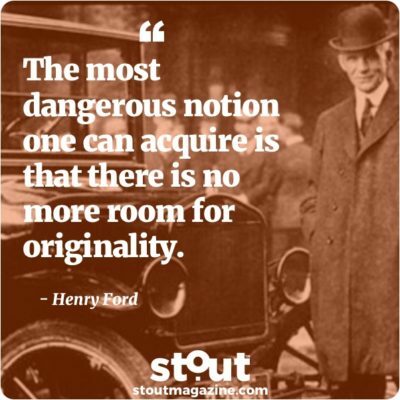 Find inspiration in Henry Ford’s groundbreaking inventor spirit and put our Stout Action Plan to look beyond the ordinary to break new ground on success. 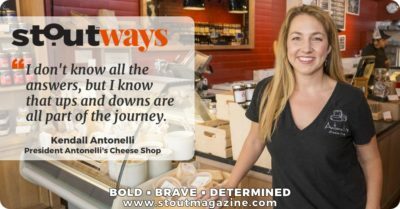 This energetic cheesemonger dreams big, lives even bigger — and makes sure that no one stands alone. 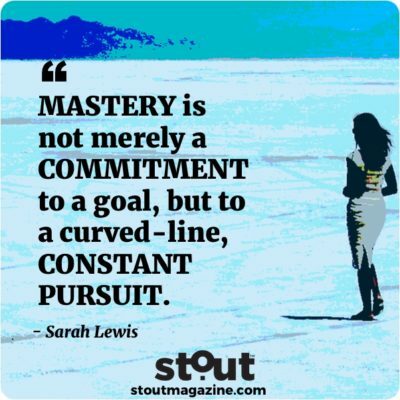 Find inspiration in Sarah Lewis’s unique view on creativity and use our Stout Action Plan to seek your own mastery of success. Lifelong educator and archery enthusiast Jim DeLine shoots it straight on empowering kids, achieving goals, and why community is so important. Blockchain + Gen Z + Social Retail? Hell “Yeay”, That’s Hot! German media maven Melanie Mohr has taken mobile shopping by storm. 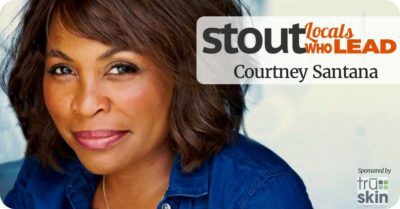 Stout talked with Melanie to get her #StoutInsights on finding success. 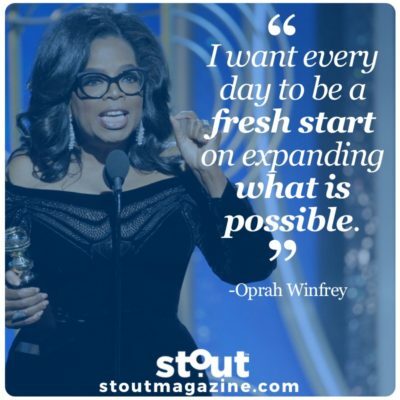 Find empowerment in Oprah Winfrey’s story of success from adversity and use our Stout Action Plan to find your courage and live purposefully. 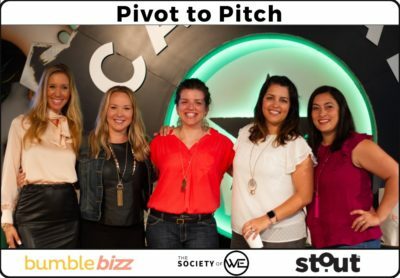 Bumble Bizz, The Society of WE and Stout Magazine brought together a panel of experienced entrepreneurs to share real-life advice on mastering pivots. 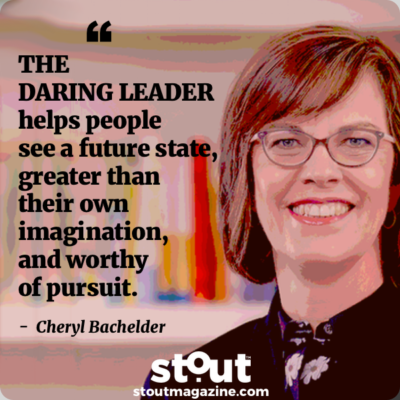 Gay Gaddis talks about leadership, legacy and the professional pivot she’s embarked upon.